You CAN compete successfully in difficult business conditions! At Mindscape, our business is to make you more competitive. We ensure your investment in your people delivers value for money and high returns. Our focus is on building new approaches to individual and organisational resilience, flexibility and awareness. We provide your organisation and your people with the expertise and simple tools to assist you to shift your thinking and drive performance to new levels. We partner with you to help you clarify your desired future business landscape; to understand your current strengths and challenges; and most importantly, to identify flexible pathways to help you achieve your goals. 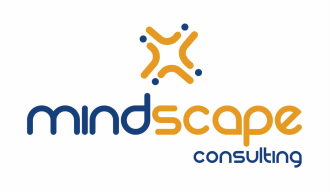 All of Mindscape Consulting’s programs are customised to achieve real business results. We take a holistic approach to your organisation and its unique cultural make up by looking at the whole company as a dynamic, interconnected system. We back this up with our expert strategic consulting processes and tools that enable you to identify and measure progress. Our client-centric service provides follow-up and review to ensure we meet your specific requirements.